Today we discuss about the comet C/2016 R2. This comet has been discovered in September 2016, i.e. some 20 months before its closest approach to the Sun (passage at perihelion). Meanwhile, it heated more and more, and outgassed. This permitted many observations of the comet and its tails, and it appears that this comet is different from the classical ones. In what way? You have to read until the end. I present The extraordinary composition of the blue comet C/2016 R2 (PanSTARRS), by N.Biver, D.Bockelée-Morvan, G.Paubert, R.Moreno, J.Crovisier, J.Boissier, E.Bertrand, H.Boussier, F.Kugel, A.McKay, N.Dello Russo and M.A.DiSanti. This study has recently been accepted for publication in Astronomy and Astrophysics. This comet has been discovered on September 7, 2016 at 6.3 astronomical units from the Sun, on the telescope Pan-STARRS (Panoramic Survey Telescope And Rapid Response System), which is located on the Haleakalā (Maui, Hawaii, USA). It was then moving toward its perihelion, i.e. toward the Sun. The passage occurred in May 2018, at a distance of 2.06 AU from the Sun. Since then, it is moving away, and it should come back in about 20,000 years… if it comes back. You can find below its orbital elements, taken from the JPL Small-Body Database Browser. These elements are computed from almost 3,000 observations, over 2 years (remember: the comet has been discovered in September 2016). This is what we call a long-period comets. You have comets of the Jupiter family, with period of a few years, you have comets with periods close to the century, like the very famous Halley comet, which period is 75 years (next passage in July 2061, be ready), and you have long-period comets like this one. In fact, we have no proof that this comet already visited us 20,000 years ago, and we cannot be sure it will in 20,000 years. Look at the eccentricity: 0.996 is huge for an elliptic orbit, it actually means that the orbit is almost parabolic. In other words, it is close to never come back. Planetary perturbations or even a star passing by could be strong enough to destabilize the orbit of C/2016 R2, and make it leave our Solar System for ever. Conversely, it could make it more stable, and we can even imagine that this comet has an extrasolar origin. It could have been formed around another star, having been ejected from that system, having visited us, and been stabilized around the Sun. Which does not preclude a future ejection. In fact, it is difficult to know, since such elongated orbits and such small objects are very sensitive to small planetary perturbations. when a comet approaches the Sun, it creates beautiful tails. When you observe the tails, you have part of the composition. As discovered Fred Whipple, a comet is a dirty snowball, which is composed of a nucleus, and tails. This has been confirmed in 1986, when the comet 1P/Halley visited us. The nucleus is composed of water ice and silicates. a weak dusty antitail, which points opposite to the dust tail. the Solar light is made of a wide spectrum of radiations. The radiations, which are characteristics of the elements present in the coma, are blocked. you observe the spectrum of the light crossing the coma. From this spectrum, you know which elements are present. Of course, this is a little more complicated than that. First, you have to consider that the light you observe crosses the atmosphere, which affects it. So, you have to remove this effect. And then, you also have to consider that a cometary activity might be a weak process (depending on the perihelion distance and on the size of the nucleus), and some elements are sometimes observed, sometimes not. Fortunately, several teams have observed the comet, which secures the results. For observing these spectra, you need dedicated facilities, which do not necessary observe the visible light. Let us present them now. I here restrict to facilities used by the authors of that specific study, but there are many more. 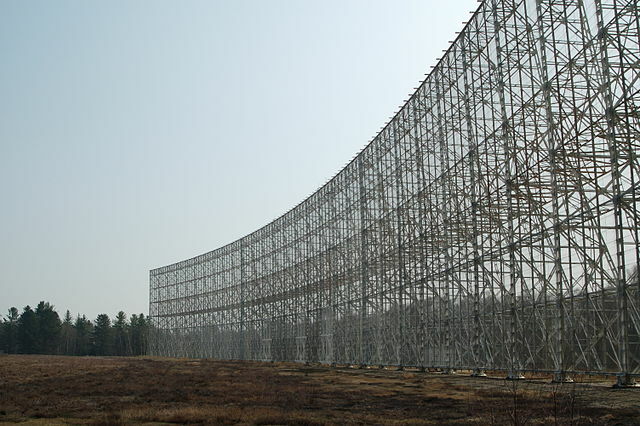 IRAM is a French acronym for Institut de RAdioastronomie Millimétrique, or German for Institut für Radioastronomie im Millimeterbereich, or even Spanish for Instituto de Radioastronomía Milimétrica, i.e. institute of millimetric radioastronomy. What does that mean? It means that this facility observes in wavelengths, which are close to the millimeter. Remember that the visible light lies between 430 (for the red) and 700 (for the violet) nanometers, or 0.0007 millimeters. So, the human eye is definitely not sensitive to millimetric emissions. This part of the spectrum approaches the one of the radio waves. IRAM is based in Grenoble, France, but Germany and Spain are also involved. Beside this, IRAM has worldwide collaborations. 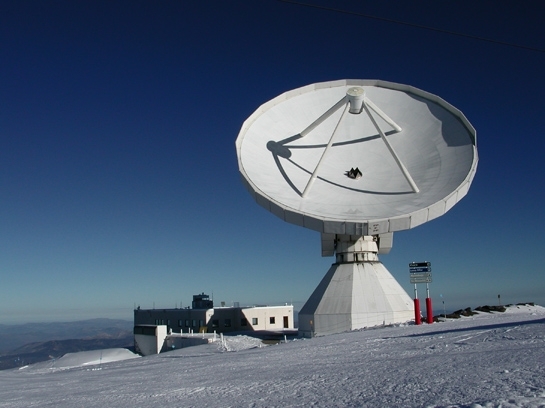 an interferometer, located on the Plateau de Bure, in the French Alps. Both sites are at high altitude, i.e. 2,850 m for the Spanish site, and 2,550 m for the French one. IRAM has been created in 1979, and is still upgrading its facilities. Spain joined it in 1990, and the Plateau de Bure Interferometer, which was originally composed of 6 antennae, has now 10 and should have 12 by 2020, in the framework of the project NOEMA, for NOrthern Extended Millimeter Array. Its deployment, i.e. the inauguration of the seventh antenna, started in September 2014. The authors used the 30-m telescope based in Spain, to target the carbon monoxide, the hydrogen cyanide HCN, and the hydrogen sulfide H2S, at the frequencies 231, 266 and 169 GHz, respectively. The observations were conducted during two evenings, on 23 and 24 January 2018. They also used the Nançay radio telescope. This facility is based in the center of France, and depends partly on Paris Observatory. The radio telescope observes centimetric waves. For that, it is composed of 2 mirrors, one is planar while the other one is spherical. These are mirrors for centimetric waves, i.e. these are actually railings, in which the metal bars are spaced by less than 1 centimeter. It mainly observes the wavelengths 21, 18 and 9 cm, which correspond to hydrogen, hydroxide OH, and the methylidyne radical CH. Beside this, Nançay has also a decametric interferometer composed of 144 antennae, and an antenna belonging to the Low-Frequency Array (LOFAR) network, which observes metric wavelengths. The authors used the radio telescope between January and March 2018, for about one hour on average every 2 days. These observations were supplemented by optical observations conducted by amateurs, who co-author the study. The analysis of visible light could permit to detect, for instance, carbon monoxide CO (to confirm millimetric observations), the cyano radical CN, or the dinitrogen N2. First, the overall emission of the comet constrains the temperature of the gas. For C/2016 R2, it should be close to 23 K (-250°C, or -418°F). Regarding the species: the authors detected a very large production of carbon monoxide CO. This, combined with a very low dust production (with respect to known comets), makes the coma to be blue, instead of tending to be red or yellow. And relatively to CO, there is a strong depletion of water H20, methanol CH3OH, formaldehyde H2CO, hydrogen cyanide HCN, and hydrogen sulfide H2S. However, and this is very surprising, the authors detected an excess of dinitrogen N2, with a ratio N2/CO close to 0.08. In this case, N2 dominates the nitrogen budget. We don’t know! And this is why it is interesting. Such an abundance of dinitrogen is very unusual. The only previous detection of dinitrogen was in situ, by Rosetta on 67P/Churyumov-Gerasimenko. In that case the ratio N2/CO was about 0.006, i.e. 10 times lower than for C/2016 R2. And for the other comets: just no detection. This means that this comet did not form with the other comets. It formed elsewhere. And this makes this comet unique. You can find the study here. The authors made it freely available on arXiv, many thanks to them for sharing! And now, the authors. and the one of Michael A. di Santi.